"One of the world's great islands, Sri Lanka has it all. In one trip, you can watch whales off palm-fringed beaches, track leopards in lush rainforests and hike through the hill country to verdant tea plantations. Get an insight into Sri Lanka's culture by exploring Buddhist monuments, clambering over colonial forts and indulging in its flavoured cuisine." 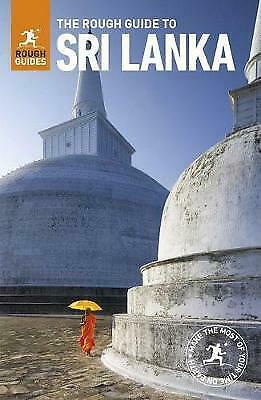 The Rough Guide to Sri Lanka is the definitive travel guide with clear maps and detailed coverage of all the best attractions Sri Lanka has to offer. Get the low-down on one of the worlds most beautiful islands, with in-depth coverage of Sri Lanka's superb beaches, magnificent wildlife, verdant tea plantations and majestic Buddhist remains. The guide includes practical information on getting there and around, plus reviews of the best Sri Lanka hotels, from serene oceanside Ayurveda retreats to atmospheric colonial-era tea estate bungalows, and Sri Lanka restaurants, bars and Sri Lankan shopping for all budgets. Whether you plan to explore the ancient ruins of Sigiriya, wander amid Ella’s verdant tea plantations or explore the cave temples of Dambulla, The Rough Guide to Sri Lanka will show you the ideal places to sleep, eat, drink, shop and visit along the way. 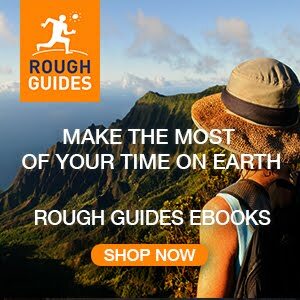 – Rough Guides’ rundown of the best sights and experiences in Sri Lanka.